Chittoor, Jan 9 (way2newstv.in):Chief Minister Chandrababu Naidu traveled to Chittoor district. Chandrababu laid the foundation stone of the Apollo Tire factory in Chittoor district in Pandur. An Apollo Tire industry is set up with a net worth of Rs 1,200 crore in 260 acres in small ponduras. In the second phase, the Apollo management will expand the tire industry by Rs 4,500 crore. Ministers Nara Lokesh and Amarnath Reddy participated in the program. CM Chandrababu said the EPI will be in the top three places in the country for development by 2022. Employment opportunities for unemployed youths with the arrival of new industries. He said the need for permanent poverty, and the need for the establishment of new industries to ensure that the youth is economically prosperous. Chittoorzala Auto is being created as a mobile hub. Entrepreneurs should come forward to invest in AP. Over 3 lakh unemployed youth have been given job opportunities. Opposition leaders are not going to criticize and see the eyes open to see the development. EP needs more industries. EP is moving forward in biotechnology, textile and food processing. We need all cooperation to develop the EP. State IT and Panchayati Raj Department Minister Nara Lokesh said that new industries are coming from the existing leadership in the state. 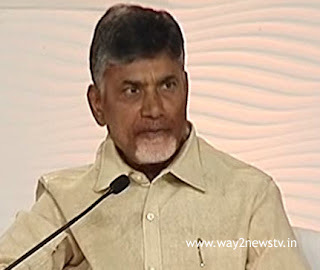 APP Chandrababu Naidu is being developed in all respects. He said the government would support the entrepreneurs who set up new industries in AP. He will meet industrialists in Visakhapatnam on February 23,24,25, he said.